I am addicted to melons!! They are so sweet and juicy!! 🙂 Watermelon is my favourite one but unfortunately only available during the summer. Honey melons are also so refreshing and hydrating!! They make the perfect breakfast or post workout snack as they digest so easily and are super sweet and delicious. Now during the winter season, I usually find honey melons & Sapo de Melo melons at small middle eastern supermarkets. I used to not like avocado at all when i was younger, but I acme such a big fan since i started to use Avocado as a my salad dressing. I basically use 1/2 avocado and the fresh juice of 1 lemon and mix that into my greens. Massage the greens into the avocado until they are all slightly covered. Its a great way to eat healthy fats without using oil. It’s just so much healthier to get your fats from whole foods instead of using oil which is 100% isolated fat. Your website and Instagram page are so inspiring! Thank you for sharing all your best tips and healthy lifestyle ideas. I am mostly plant based, however I noticed that fruit is causing me to feel very bloat d so I pretty much stay away from it to avoid bloating while trying to lose weight. I see that you eat a lot of fruit and still look slim and have a flat tummy. Do you have any tips or suggestions? I admire you and you inspire me a lot!! thank you so much! So happy to hear that you feel inspired! It is def normal to go to the bathroom more often on a vegan diet which is a good thing! 🙂 Your body is cleansing and getting rid of toxins. I love to eat vegetabels and also have steaemed potatoes, sweet potatoes almost every night with my salad. Hi Caroline! I was wondering if you have any green smoothie recipes for me to try? You have inspired me to go on the high carb raw vegan diet and so far I love it. I feel like I need to eat more green smoothies like you talk about, but I don’t know any good recipes. Can you help? yes fresh corn is great. I would cook it myself instead of buying it in a can as those usually contain sugar. I don’t know how to deal with but it has been 3 months that I’m going into vegan lifestyle and I’m super tired, have constipation and have some others diseases probably because of my low iron levels. I checked my blood yesterday and I was pretty convinced that I didn’t do right my diet. I was mad because it did disturb my daily life. Is it impossible to be like you physically by eating meat? you may have some detox symptoms and i think it would be very helpful for you to do a colon cleanse. You can either to that at home in form of an enema or at a medical spa in form of a colonics. I recommend finding a good place for colonics and do it a few times over 1-2 month. Your body (colon) needs to get rid of old toxins etc. to be receivable for all the nutrients you are eating now. Eating meat is not going to help you. My advice is to eat as simple as possible, meaning fruit mono meals and simple dinner with only 1-3 ingredients. Also, drink a lot of water and make sure you get enough sleep and exercise a few times per week. Oh god, that’s why I was feeling that my body’s changed recently, feel something wrong. Well I believe that you’re right! I get bad breath recently…and after my blood check up my doctor gave me some tablets for my constipation or my colon’s problem and told me to drink water containing ++++ magnesium. So I go to the toilets often and it’s better now. So should I take some tablets of colon cleanse? I’m pretty afraid going to a medical spa etc because I read on the net concerning that. I would suggest to stick to drinking A LOT of water for now and see if that helps. Magnesium water, lemon water, ginger water are all boosting your digestion so it might actually be enough for you and you don’t need a colon cleanse. However, if you feel like your body needs to get rid of old “toxins etc.” a professional colonics can do wonders. You really gonna feel much better afterwards and your colon needs to be “clean” in order to absorb all the nutrients from fruits and veggies. I could give you a long explanation to every paragraph from that article, however, I think it always comes down to your own experience. 🙂 I doubt that you would agree with any of what they are saying if you go high carb vegan for a month or two! i was just about suggesting you to do a colon cleanse. Its great that you are doing it as it really helps your body to cleanse itself and to better absorb all the nutrients and minerals. Love all your blogposts 🙂 you are such a big inpsiration and you are always so positive. Thank you so much for your daily motivation!! 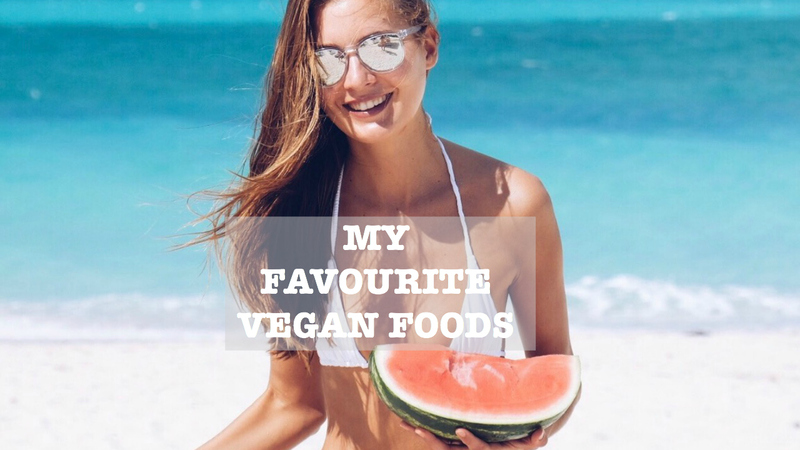 I tried to stay vegan since November and I feel so balanced with myself, though its very hard in the beginning, because I sometimes feel like I don´t have enough power.. Also have to say that I am very active and love to go running etc… I try to eat a lot carbs like fruits, rice and bread.. Do you have any tips? I take it twice a week. I would recommend to get your blood tested first to see if you need it. I usually make a blood test once a year to keep track of my vitamin/ mineral levels. the high carb vegan diet is PERFECT for long term weight loss:-)! You need to give your body time and be a bit patient. Focus on eating high carb low fat, the more raw fruits the better, cut out salt and do cardio a few times per week. I have been on this diet for around a week after breaking off of it for a few days, and it has worked wonders for me! The thing is I still have a habit of calorie counting and tend to under eat. What should I do to eat enough without thinking about the calories? Thank you so much you continue to inspire me every day! !